Steffanie Housman is a business coach and entrepreneur who helps women grow the business of their dreams; out of their basement and into the warehouse, so they can live the life they want - on their terms. I remember the day like it was yesterday, I was on a call with my career coach and my legs started tingling - and not in a "I'm asleep" way. Two months and many excruciating tests later, I got the phone call that no one wants. It was the doctor calling as I was walking home from the metro station on a cold December evening. "There is something we noticed on your scan with your brain." By January, I knew I had something called a Chiari Malformation and was preparing for brain surgery. March 21, 2011 is what I lovingly refer to as my Upgrade Day. Being forced to be at home for three months is much harder than it sounds. The first two weeks of my recovery from surgery rather sucked. But by the start of week three I felt like my normal self without the ability to look left and right. Daytime TV had lost its appeal. My mom had returned home and my husband went back to work. I was all. by. myself. in our apartment in a building where everyone worked in D.C. It was April and all of our holiday presents were made. To say I was bored was an understatement. A few months earlier, a close friend had told me about some research he was doing with red blood cells and how he was introducing various sugars & chemicals to the cells to see how they morphed. It got me thinking about the products I was using everyday and if they could have had any impact whatsoever on my current situation because we don't know yet what caused my brain malformation. This was the very start of Old Town Suds. I remember the days of tireless research. Trying to find the right supplies at the right price point and having no help. How do I find the right graphic designer to work with? How do I manage a budget? What do I need to do to be legal? Where in the world am I going to find a market to accept me this late in the year? All while my husband was playing the part of being supportive, but always asking me exactly how much I was spending. All while sighing over and over again. In reality, he just saw it as money being wasted. I was investing in my growing idea that soon turned into a tried and true venture that bought our house and saw my products shipped around the world to countries like Australia, Japan, Libya, Germany, and so many more. Learn from my mistakes. I wish I had hired a coach in the beginning of my entrepreneurial adventures. But, I had to learn the hard way. It took a while for me to find my right markets and to define my niche - but once I did - business boomed. Market days went from sad and frustrating to "we're having lobster for dinner tonight!" and they just kept coming. We were accepted into Renegade, All Crafts Considered, Crafty Bastards, Craft Mafia, and the list goes on and on and on. My realization moment that this could work was made for me. I was laid off from my full time job. It was a Wednesday. I had taken Thursday and Friday off to prepare for my biggest event I had ever done. I felt sorry for myself on the drive home, and decided to ignore my feelings until after the event. The profit from that show was more than my full-time job's salary that past month. Talk about a kick in the pants from the universe and doubtful husband isn't so negative naysayer anymore. In July 2016, a full month ahead of schedule, we welcomed our early addition to our soap booth. 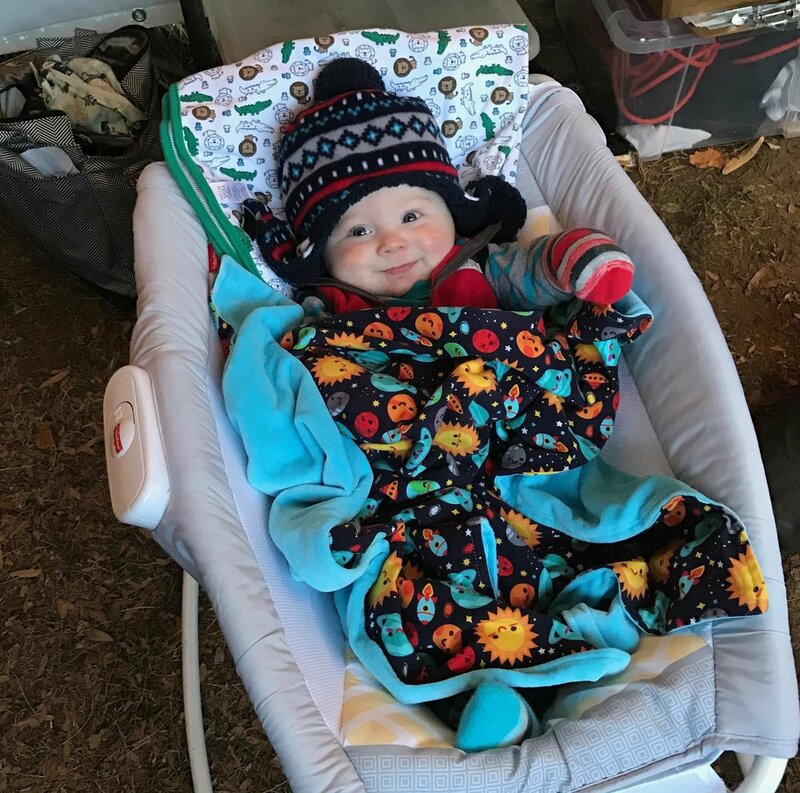 Henry spent the first nearly 6 months of his life at weekly & holiday markets - learning the tricks of the trade and how important it is to support small businesses. Experiencing the business through new eyes made me realize something: My passion isn't for soap. It's for building businesses. It's for meeting people and helping them achieve their goals & dreams. From my day jobs helping build future CEOs through leadership academies I've designed and led, to hours spent teaching soap classes, to running my business - I realized it was all to prepare me to help and mentor others as The Handmade Business Coach. CLICK HERE TO JOIN ME AND OTHER AWESOME BUSINESS OWNERS IN THE SUCCESSFUL MAKERS SOCIETY!